Flash drives have become the storage medium of choice these days. With the increasing storage capacities available, people are beginning to store a majority of their data on pen drives. But in such cases, data security is a persistent problem. One would think twice before carrying important or sensitive data on portable media. If the pen drive is lost or compromised, sensitive data could fall in the wrong hands. But there’s a solution to this, password protection! 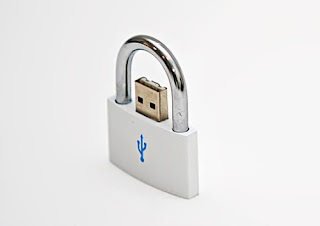 You can simply password protect USB flash drives so that only you or authorized users can access the data. So there’s two types of protection, there’s simple password protection wherein data cannot be seen without entering a password and there’s encryption, in which the data is actually encrypted and can be decrypted and accessed only with a password. In the free tools below, we have both types of protection, so take your pick! First up, we have Encrypt Stick Free. It boasts of quite an impressive list of features but unfortunately not all of them are completely available in the free version. 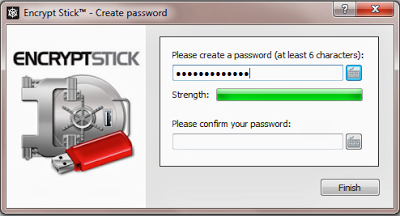 However, if you’re looking for a free program to password protect small amounts of data this can be the software for you. It’s got password protection, storage vaults, password expiry time and a cool feature that automatically reprotects files after a certain amount of time if left idle. USB Secure is another solution to password protect flash drives and in fact, any removable media including memory cards, external hard disks and the like. Like Encrypt Stick Free, it also provides additional features in a paid full version. Nevertheless, it does what it’s supposed to and if you need advanced features like virtual partitions, vaults and more you can buy the full version. 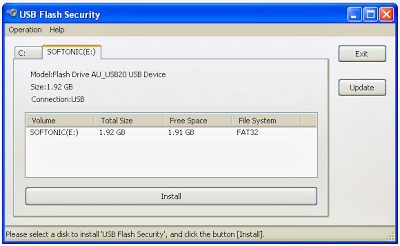 One of the simplest tools on the list, USB Flash Security lets you select your USB drive and protection is simply a few clicks away. Along with the password even a hint can be mentioned. The features are rather basic, but it gets the job done. One thing you have to keep in mind though, this is made by a Japanese company and the grammar in the program and help files can be quite horrible. If you don’t mind a few typos, language errors and such, USB Flash Security is a good tool to password protect USB flash drives. Rohos Mini Drive is program that lets you create a hidden, encrypted partition in the USB flash drive that can be accessed only by inputting a password. It comes in an installation as well as portable version that can be carried on removable media and used without installation. Futhermore, Rohos Mini Drive can be used to password protect files and folders even on your computer. For example, you can hide specific subfolders within an otherwise visible directory. TrueCrypt is the most fully featured encryption tool and the best part is, it’s completely free and open source! 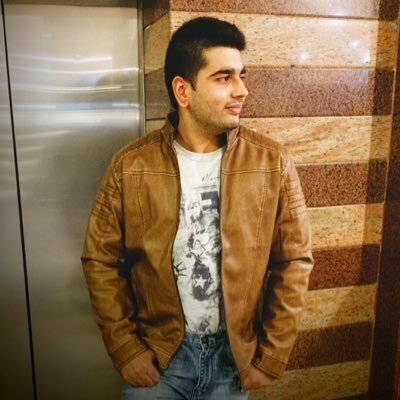 It provides extremely solid protection by encrypting files, folders, you name it on both removable media and your computer. You can even choose encryption algorithms. Specific files can be used as “key files” to unlock too. TrueCrypt has an great feature where hidden, encrypted partitions can be created and accessed differently based on passwords. For example, you can create 2 partitions on an 8 GB pendrive of 4 GB each called A and B. Now, you can encrypt it such that one password unlocks and decrypts only partition A and another password does the same only for partition B. TrueCrypt is your best bet if you’re looking for an encryption solution not only to password protect USB Flash Drives but protect other data too. Let me know if there’s any other program that you think performs the same functions equally well or better than the ones I’ve mentioned above. Or as always, leave us your comments and queries below! Thank you so much for your suggestion, I'll add it to this list soon.